Zach is growing up. His father thinks he's too old to be playing with action figures and dolls, or for his two best friends (Poppy and Alice) to be girls. So, Dad throws away all of Zach's toys. In anger and embarrassment, Zach tells his friends that he doesn't want to play with them anymore. They are understandable hurt and angry, especially since Zach won't give them any reason for his actions. A few days later, Zach gets an urgent message from the girls to join them. They have been nagging him so much that he figures that it's a trick to recruit him back to playing their games. However, this time, the adventure is actually real! 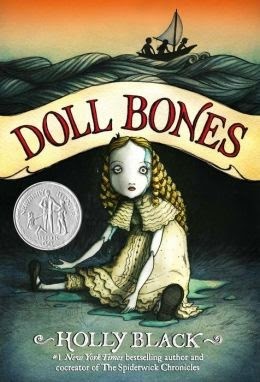 A haunted doll, a quest, and a life-changing journey awaits. What is billed as creepy and scary turns out to actually be a decent road-trip story, with plenty of real-life adventure and some risky behavior (at least two cases of theft, an incident of breaking-and-entering, and a number of other bad decisions play a prominent role). There are intimations of magic and the supernatural, but it is all easily explained if necessary. Instead, Black focuses on the way that real-life journeys can be just as interesting as mythic ones.